The folks who craft trailers make regular use of a particular species of musical cue: a sustained droning growl of a note, signaling looming menace. When that uneasy bass hum begins to rattle the theatre’s speakers, we know we teeter on the verge of bad things going down. Recently, I have been hearing that angry buzz ubiquitously — not only when I’m at the cinema watching previews of coming attractions, but in all places, at all times. It seems that such discordance has become a never-ending soundtrack playing on a sub-audible loop beneath these anxious times. Angry mobs of bigots marching in the streets brandishing Tiki torches and emblems of genocidal violence; cataclysmic superstorms plunging cities into darkness and disorder; powerful predators feeding their malevolent lusts with impunity; nuclear-armed strongmen lobbing schoolyard taunts at one another… These aren’t moments from a trailer for some thriller or effects-driven disaster flick; they are headlines from the daily news. 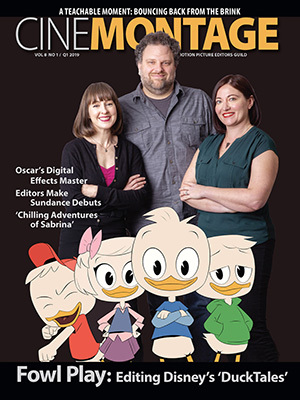 Moviemakers have a rich legacy of serving up hyperbolic fantasies of end times to feed the public’s appetite for apocalypse, but cinema’s master practitioners of pandemonium now have a hard time competing with humble, workaday journalists. Against this panoramic backdrop of chaos and dread, the perils confronting the American labor movement may not appear noteworthy. As Humphrey Bogart’s character Rick said in Casablanca 75 years ago, “It doesn’t take much to see that the problems of three little people don’t amount to a hill of beans in this crazy world.” The labor movement consists of about 13 million people — not three — but 13 million is a paltry number in the context of the 325 million souls living in this country. Indeed, our small size is a big part of the problem itself. The perils labor faces have swollen in inverse proportion to our dwindling ranks. Now that we have shrunk to less than 11 percent of the US workforce, it’s no exaggeration to assert that the threats arrayed against us are existential. 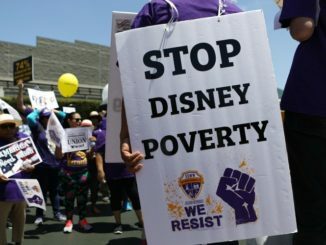 If you believe that democracy in the workplace is key to achieving a more democratic and just society, the threatened extinction of organized labor portends disastrous consequences for more than just the folks who now belong to unions. The dangers we face in the labor movement might not be on the scale of the dangers posed by, say, climate change or militant ethno-nationalism, but they’re no mere bean pile. Why do things now look so dire for unions? The hardest and most certain blow to soon befall organized labor is a forthcoming decision in the Supreme Court case Janus vs. AFSCME. When the Court issues a ruling in 2018, it will institute strong disincentives to union membership for public-sector employees throughout the land. Most unionized public employers in the US are now “agency shops,” in which individual employees may decide whether to join the union responsible for representing them, but those who opt out of membership are required to share the expense of contract negotiations and enforcement. The decision in Janus likely will outlaw public-sector agency shops, effectively rendering all public employment “open shop” or so-called “right to work.” Since anti-unionists and segregationists first began to use the term in the 1940s, proponents of “right to work” have sought to starve unions of members and resources; Janus seems poised to represent their biggest victory since the passage of the Taft-Hartley Act of 1947. If you’re a regular reader of this column, and these dire predictions sound familiar to you, your sense of déjà vu is spot-on. Janus is a reboot of the Friedrichs vs. the California Teachers Association case that I wrote about in the Q1 2016 issue of CineMontage. Supreme Court Justice Antonin Scalia’s sudden passing shortly after that column was published left the Court deadlocked on Friedrichs, thus averting what was sure to be an adverse ruling. But new Justice Neil Gorsuch’s vote is not in doubt; barring another deus ex machina plot twist, we’ll find ourselves back in the looming shadow of the threat we faced two years ago. Janus is just the Friedrichs cold case reheated two years later, but recent antecedents for this assault upon workers’ rights extend back further. For much of this decade, we have seen a barrage of legal attacks upon organized labor in statehouses nationally. Unions have been reeling from a series of setbacks in states such as Indiana, Michigan, Wisconsin, West Virginia, Kentucky, Missouri and Iowa. Mostly, these attacks have consisted of the expansion of “right to work” policies, but have also included measures introducing other obstacles to workers seeking to organize, to stay organized, and to have real clout in their workplaces. As injurious as these state-level rollbacks of workers’ rights have been, it is clear that the enemies of labor intended them to serve as dress rehearsals for current efforts to effect policy change on the federal stage. It’s not just Janus. Legislation now before Congress (HR 785 and S 545) would extend “right to work” provisions to private-sector employment in all those places where agency shops remain legal. President Trump has voiced support of this legislation. 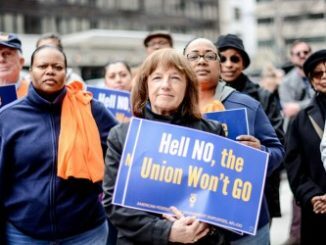 Were it to pass — and it is easy to imagine passage in the current political climate and in the anticipated aftermath of Janus — the legal landscape for private-sector unions in California and New York would become just as hostile as the legal landscape in Georgia and Louisiana. As if that weren’t enough gloom for one forecast, “right to work” isn’t the only legal threat facing organized labor on the national stage. Also before Congress is the deceptively titled Employee Rights Act (HR 2723 and S1774). Should that bill become law, it would impose a host of provisions intended to hobble unions, including requiring regular recertification elections for existing union workplaces, in which any employee who abstains from voting is counted automatically as a vote against unionization. Other proposed legislation would reverse National Labor Relations Board decisions perceived as friendly to labor. And the Senate has already approved President Trump’s NLRB appointees; their backgrounds telegraph that they intend to undo the modest policy advances unions made at the board during the Obama administration. The anti-unionists have an obvious plan: taking a bulldozer to the legal landscape upon which labor relations have been constructed over the course of decades. Through all three branches of government, they intend to discourage union membership, limit bargaining, make it more difficult for non-union workers to organize, and create obstacles for union workers seeking only to remain organized. These measures are engineered to accelerate the erosion of unions’ clout at negotiating tables and in the larger political sphere. Our opponents’ agenda is clear; how about ours? If this were a movie trailer for a superhero picture, this would be the point at which we cut from shots of menacing baddies to an image of our cape-festooned savior making a dramatic entrance. This is where you step in. And, thankfully, you are stepping in, in large numbers. Our Local 700 fall membership meetings in LA and New York had huge turnouts, with folks crowding together in a standing-room-only union hall to take ownership of their organization and discuss what needs to be done to improve the working lives of post-production professionals. 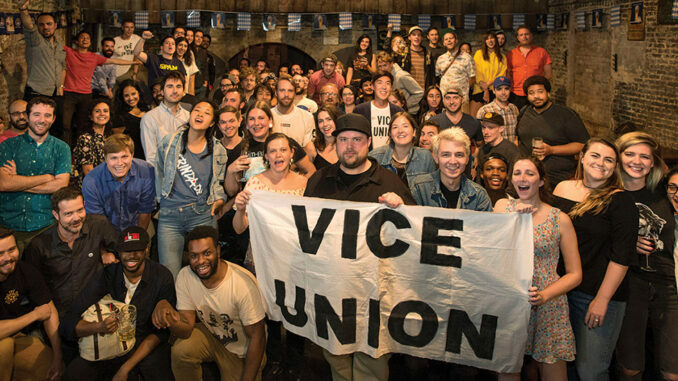 And new members are coming aboard; our recent campaign-winning union recognition at Vice Media in Brooklyn will boost the size of our New York membership by almost a quarter. In addition to sheer numbers, our win at Vice draws into the union the energy and perspectives of many younger post-production employees whose workplace looks a lot like the probable future of our industry. 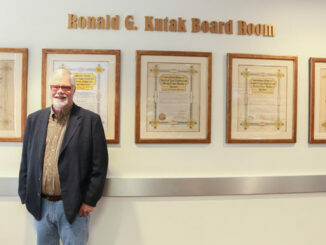 Lawmakers, judges and government officials can institute policies that are profoundly disruptive to the way unions do business. Given these threats, we can’t expect to survive, let alone flourish, if we stick to business as usual. But a commitment to membership engagement and grassroots democracy will allow us to adapt as the legal structures on which collective bargaining has been built are under attack. They may break our bureaucracies; we can’t let them break our spirit. Our union’s strength doesn’t derive from any politician or government official. Nor, for that matter, does it arise from the staff on our payroll, or even our elected leadership. Our power comes from each and every member and the commitment every member makes to safeguard her or his sisters’ and brothers’ welfare. Whatever rulings or laws they engineer, labor’s opponents cannot change our conviction to stand up for one another. With that conviction, we can weather these attacks.